Hello friends and happy February! Today I’ll be sharing another quick Valentine’s day card. Check this card out as a YouTube video! To start, I took a 110lb. cardstock panel and prepared it for heat embossing by using my anti-static powder tool. I placed the ‘Love Is’ background into my MISTI tool and used Versamark Ink to ink it up and some American Crafts Zing Red embossing powder. Next, I’m going to heat emboss the large, scripty sentiment, ‘Love’ on a scrap cardstock piece. I chose to emboss using American Crafts Zing Black embossing powder. Black embossing powder is notorious for leaving stray powder even if you use an antistatic powder tool so I used a small paintbrush to brush away the stray particles as best as I could. Then I cut this script sentiment using a coordinating die through my Big Shot. Next I’ll be ink blending onto Simon Says Stamp heavyweight vellum, which is also cut into an A2-sized panel. First, I started blending Tim Holtz Distress ink in Picked Raspberry and then created an ombre effect using Candied Apple distress ink. Maybe it was the force or method of my ink blending, but the vellum piece was a little warped. Real talk, initially I tried glue dots to adhere it to my background but it was bubbling up. I needed to use something stronger for the vellum to adhere to my background panel, so I ended up using my Tombow adhesive runner to help it adhere a little flatter. Next, I used foam tape behind the ‘Love’ diecut and mounted it down onto the panel. Then, I used Memento Tuxedo Black ink to stamp a coordinating sentiment from the Love stamp set beneath it. I got an A2-sized card base and used my tape runner to finish putting the card together. Then here’s that fork in the road I run into… embellishments or let it go? Welllll, I went and got my Nuvo crystal drops in Autumn Red and Pale Gold to add some detailing. After finishing this card this morning, I didn’t know how I felt about this card. Does that ever happen to you? Even if I don’t end up giving this to anyone, it was fun to put together and I hope you found some inspiration to create today too! Working on anything fun below? I’d love to come check it out. I wasn’t planning on buying much for Black Friday (is this a lie we tell ourselves or is it just me???) but I found a couple crafty deals I couldn’t pass up. I took a gamble and purchased the Craft Parcel from Simon Says Stamp for $67.99. Simon Says Stamp marketed it as a ‘perfect parcel of crafty supplies’ that you could just add wrapping paper. It was advertised as having a retail value of at least $200, so I thought I’d try it out. In previous Simon releases (literally minutes after the release), some items would sell out while it was in your cart or when you’re checking out. I played a little mental game thinking, “Eh, if the purchase goes through, then it was meant to be.” Lo and behold, I got one! I looked up YouTube videos from previous years of these Craft parcels just to get an idea of what type of products I’d get or how much product would be in this mystery box. More of my thoughts later in this post! I’m not too familiar with some of these brands but I have listed what the actual products are that I’ve received in my parcel and I’ve grouped them into different categories for the photos (stamps, dies, embellishments, etc). First and foremost, I received a large amount of products that I can believe at the full, suggested retail price, it did total $200 worth. For $67.99 PLUS the shipping cost of $6.99, I am not fully convinced this purchase is one I adore or believe it was worth splurging on. Not going to lie, I feel like I’m betraying one of my favorite companies, but I also wanted to be honest in my initial impressions. Maybe my opinion will change as I play and use the supplies, but at this point I was a little disappointed (or maybe perplexed?) on how I could put all these goodies to use! I think there were a lot of random products and I guess I was under the impression it would be a bit of a curated box like a card kit where the elements coordinated with one another. I guess I didn’t take it literally that the products would vary this much. When I was looking online at Simon Says Stamp to see if the products were available (especially ones that probably had coordinating elements such as additional paperpads or stamps) , many of the products were no longer available. My biggest annoyance, not going to lie, was receiving the Webster Pages’ A5 planner inserts that were dated for 2015/2016!!! The miscellaneous papers (taken from other paper pads) I’ve received weren’t labeled so not sure what brand these were (for future references). Overall, I received some interesting products and this is a challenge for me to craft outside my crafty comfort zone. Do you have any experience with this particular release or from similar companies? Where did you get your inspiration for making cards with the supplies you’ve received? I’d love to hear! Come and check out Papercraft Business! Want to be inspired and play along with our crafty challenges? 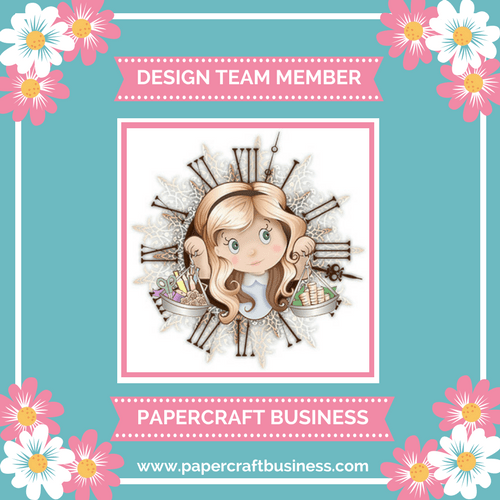 Come visit the Papercraft Business Challenge Blog! Want to be more serious about your paper crafting blog? 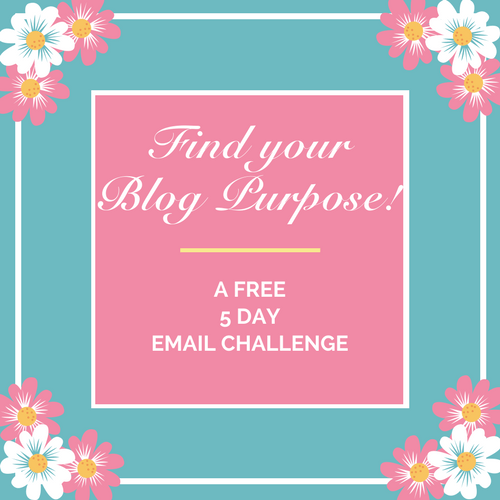 Come check out a FREE 5 day e-mail challenge to help you improve your blog!